Chris Dooks is, amongst other things, something of a documentarist whose sound work has often been centred around collecting snippets of films and documentaries which he recontextualises through processing. Following a couple of electronic releases as Bovine Life over ten years ago, he published a record built entirely from sound excepts from films and documentaries sourced from the Northern Region Film And Television Archive, documenting a hundred years of culture in the North of England. The same preservation purpose serves this collaborative effort with Rotterdam-based sound artist Machinefabriek (Rutger Zuydervelt). Based on recordings of a crumbling old American harmonium which Dooks found in a farmhouse near Lockerbie in Scotland, the album is articulated around four textural pieces which incorporate melodic components as well as mechanical and environmental noises. The second piece, Betamax And Dictaphones, also features excerpts from the vinyl pressing of a radio documentary. The Eskdalemuir Harmonium is split into four distinct pieces, two of which stretch well past the twelve minute mark, while the remaining two are kept to a much more succinct format. Both The Pike Knowes The Loupin’ Stanes and Ewe Knowe The Girdie Stanes are made from a series of sequences which are linked together by textured fragments, and developed to form an atmospheric whole. The former slowly grows around two connected chords which appear to replicate the natural breathing of the instrument itself, but, nearing the half way point, it is that same natural breathing which Dooks chooses to isolate for a moment, before a drone becomes the primary focal component. Later, as a ghostly distorted voice fades away, a series of disjointed chords fail to hide the noise made by the instrument’s pedals and mechanism, exposing it all too vividly. Ewe Knowe The Girdie Stanes appears to focus even more on the instrument’s intrinsic noises and cracks, which are processed into pseudo rhythmic elements but deliberately kept uneven and sketchy, as to echo the decaying state of the instrument itself, whilst the purely musical aspect of the piece is reflected through a series of drones which, although distinct and kept apart from each other, bind the piece together by displaying some of the harmonium’s warmer sounds. The remaining pieces are in essence very different. Excerpts from a radio documentary in which an anonymous woman talks about the content of a barn, amongst which are old harmoniums, and her father’s compulsive collection of beautiful objects of all sorts, occupy much of Betamax And Dictaphone, until slowly, the sound of the harmonium emerges again. On Settlement, the approach is resolutely more corrosive, first as the inner workings of the instruments, especially its heavy breathing and crackles, are exposed, then by a progressive layering of a dissonant drone which eventually morphs into a more subtle and minimal structure toward the end. Both Dooks and Zuydervelt also work with visual arts, and the album, pressed on red vinyl, comes with photographs taken by Chris Dooks, who also provides an essay, typeset by Zuydervelt, documenting the year-long recording process. 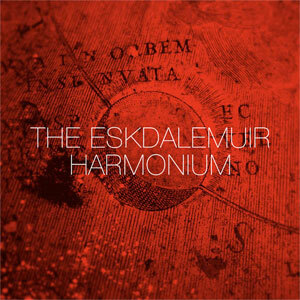 The Eskdalemuir Harmonium is an intriguing work which goes beyond the original source recordings or their consequent processing. As a document of a decaying instrument, this album is a poignant memento, but it is also, on a more abstract level, a wonderfully poetic and dreamy piece of work which takes on the original sonic components and gives them an entirely new vibrant dimension and life. The album will be released on Komino Records in November.